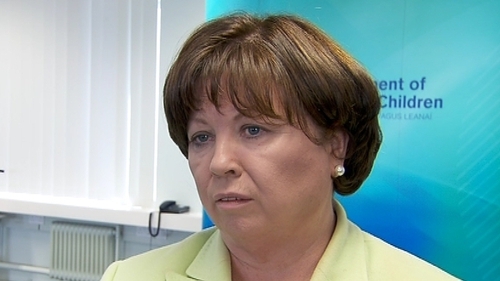 Minister for Health Mary Harney has guaranteed that the site of St Luke's Hospital in Rathgar would not be sold off when services are transferred to the two new Dublin Cancer Centres of Excellence. Addressing a Joint Oireachtas Health Committee, Minister Harney said that from 2014 there will no longer be radiation oncology at St Luke's, as provided for in the Health Bill 2010. Mary Harney told the Committee that the decision to transfer the services had been made some time ago and would not be reversed. Minister Harney said she could give the Committee a commitment that the site will not be sold off but will be used for public health purposes. She said she could not say exactly what services would be provided there, but she envisaged it would be a combination of palliative care and some other long-term care services. Under provisions contained in the Health Bill 2010, facilities at St Luke's will be transferred to the HSE and will then be delivered at the two new Dublin Cancer Centres of Excellence. One of those centres is due to open at St James's Hospital this year, while the other is planned to open at Beaumont Hospital in 2011. Labour Deputy Jan O'Sullivan had sought an amendment to be attached to the Bill allowing St Luke's to continue as a satellite cancer care centre. She said that despite Minister Harney's commitment, there were still real fears about what would happen to the site after 2014. Fine Gael Health Spokesperson James Reilly had also sought an amendment guaranteeing the future of the site to be included in the Bill. Both of these amendments failed when a vote was taken. The vote was delayed because not enough members were present at the Committee hearing. The Health Bill 2010 has already been passed through the Dáil and is now at the Committee stage.